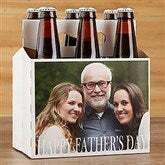 Celebrate your favorite man with our Cheers To Dad Personalized Beer Bottle Labels & Bottle Carrier. A great reminder of fun times and good beer, any guy will appreciate this useful, and thoughtful gift. 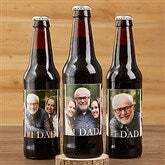 Beer labels and carrier are sold separately so be sure to add them both to complete the gift!